I’m cleaning my place when i then walk over to the living room and see these two! 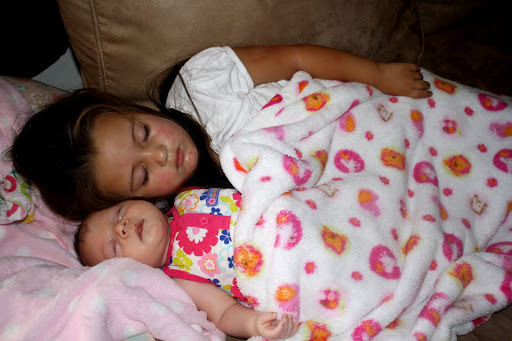 Raychel feel asleep right next to her little sis, so precious! That is just one of those moments that will melt a mommys heart!! Too precious!! That is the sweetest thing! so cute. I can't wait to have moments like that.